Hand pallet jacks are the most common form of materials handling equipment. Most small workshops and manufacturing or retail businesses will have a hand pallet jack in their back room or warehouse for moving pallets at floor level over short distances. The beauty of hand pallet jacks is that they are easy and safe to operate and are built tough to provide many years of reliable service. They are normally available with a 2,500 kg lifting and towing capacity and most feature durable frame strength, an overload valve and easy chain control installation through a hole in the handle. At Lencrow, we supply only trusted industry brands such as UniCarriers, EP Equipment and Xilin and all come with 100% after sales customer service and support, so call us today to check the availability of our hand pallet jacks with your local Lencrow branch. They are 100% environmentally friendly, with no noise or carbon emissions. 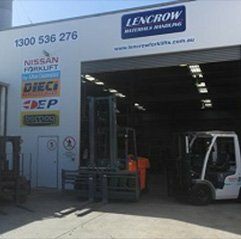 Whether you’re looking for manual handling equipment or an electric, LPG/petrol or diesel forklift, Lencrow has Australia’s biggest and most comprehensive range of new, second hand and rental warehouse equipment. We have a practical solution for every logistical application and we back everything we supply with after sales customer service and support that goes the extra mile. The facilities at our branches are fully equipped with state of the art technology and our technicians are fully trained to provide a wide range of mechanical and technical services. The Planned Preventative Maintenance System (PPMS) allows us to program a customised service schedule for your warehouse equipment to minimise lifetime running costs, based on age and usage patterns. 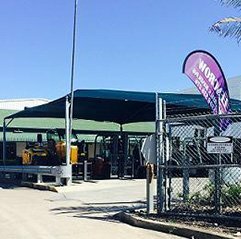 We also provide round the clock emergency forklift repairs for those times when you can’t afford any downtime and we can usually be there within 2 hours in metropolitan areas or approximately 4 hours in regional areas. 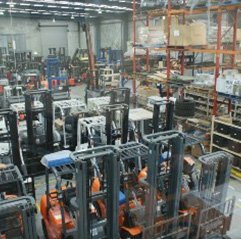 Lencrow Forklifts is a proudly Australian owned and operated family business with more than 40 years of experience and our company mission has always been to make sure Australian industry has unrestricted access to a complete materials handling resource. Our five interstate branches and over 60 trained staff, mean we think we have what it takes to continue fulfilling that need. If you want to learn more about any of our materials handling products, we invite you to browse our online range or call one of our consultants any time on 1300 536 276. 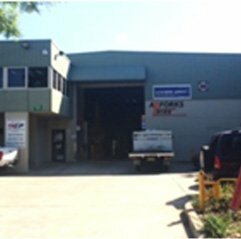 You can also contact us by filling out our online enquiry form or by calling into one of our five locations in Brisbane, Melbourne, Sydney, Newcastle or Adelaide.